Home › Blog › Muchmore FLETA ZX V2 17.5T ER Brushless Motor back in stock @ Quantum! 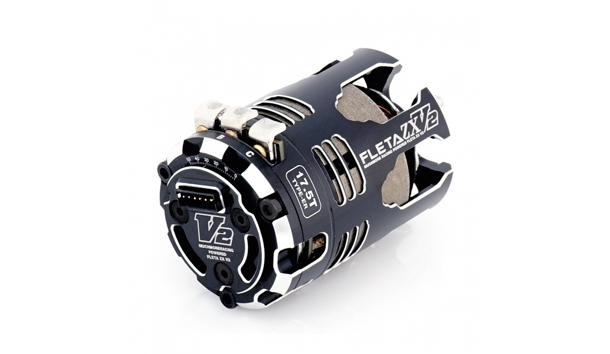 Muchmore FLETA ZX V2 17.5T ER Brushless Motor back in stock. Popular choice among the racer at the Singapore's 2018 Urban Touring Series, the organizer announced that the same Fleta ZX V2 17.5T ER will continue to be the legal motor for the 2019 season. Muchmore Racing research and development team succeeded to make a brand new motor that guarantees maximum power and efficiency. Flow-Max 2 Cooling System is produced by simple 2-piece CNC processing that allows superior cooling effect. We were able to enhance the cooling efficiency by 15% in comparison to our past motor products which is great achievement in terms of keeping the motor performance as high as possible. In addition, the High Power New Stator Design approach doesn’t use separate insulator. Therefore, less weight and maximum cooling efficiency achieved. All FLETA ZX V2 motor incorporates “Maximum low resistance copper wire” that allows low internal resistance which results in maximum output power increase. High Temperature rated wire is used for winding the motors to minimized the risk of burning up the motor. The motor uses Heavy-duty silver-plate solder tabs which reduce resistance. Also, it uses the double eyelet to prevent fatiguing over time. The stator design achieves very low internal resistance in exchange for surprisingly high output power. Improved ease of maintenance and loss of weight is additional features achieved by NEW V2 design. All new FLETA ZX V2 motor promises maximum power output and RPM achieved by Pure copper magnetic wire and Low resistance collector rings. This motor fits perfectly for 1S powered pan cars, 2S powered buggy, truck, and touring cars. All new stator design offers smooth acceleration both on- and off-road racings. Our recently upgraded manufacturing capability has achieved “precision balanced neodymium high-temperature rotor” which shows enhanced performance.